Alt-N Technologies appreciates your business and wishes you a wonderful holiday season and a very happy New Year. 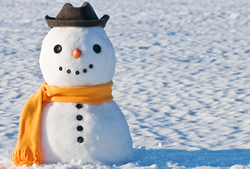 During the holidays our offices will be closed Friday, December 24, and Friday, December 31. The Alt-N Technologies website is always available to make purchases, renewals, and for self-help support. For additional support information, please visit our Support Overview. MDaemon 12, due in early 2011, will provide improved performance, and new groupware and mobility features, including improved contact, calendar, tasks, and notes synchronization. Be ready to take advantage of the new release by making sure your MDaemon Upgrade Protection is up-to-date. Upgrade Protection is available for all products and ensures access to the most current major or minor software updates free of charge for the duration of the Upgrade Protection period. Upgrade Protection can be extended in 12-month increments to a maximum of 24-months at any one time. SMB Nation conferences bring forward-thinking IT consultants, technologies, and vendor sponsors together, sparking new opportunities in the SMB space. RIM was there to build and maintain a close technical relationship between BlackBerry VAR technical sales, professional services, and product management groups, and to interact with strategic partners in an advisory capacity on BlackBerry deployment, architecture, and application development. At the conference, RIM showcased the BlackBerry portfolio for small businesses, which included BlackBerry Enterprise Server Express and MDaemon. Many attendees who were not aware of MDaemon saw it as a valuable alternative for their SMB customers who need an affordadble, on-premise mail server with BlackBerry push email support. Additional awareness events and campaigns are planned for 2011.
day than in the previous quarter. • The most popular spam topic this quarter (59% of all spam) was pharmacy. website category most likely to be compromised with malware. creators in the Web 2.0 sphere of user-generated content. The Alt-N Technologies Literature page has the latest information on product data sheets, product reviews, white papers, quick-start guides, security trend reports, and more. The Q3 2010 Internet Threat Trend Report is available from our Literature page or as a downloadable PDF. A recent Osterman Research report reveals that 31% of IT decision makers in the small- to medium-sized business space are concerned or extremely concerned about the potential for leakage of sensitive information through approved channels like email. Another Osterman study revealed that 43% of US companies had investigated a suspected email leak of confidential or proprietary information in the past 12 months. 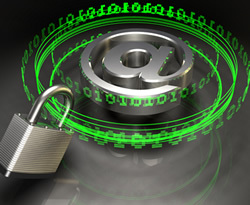 Are you using an email gateway (email spam firewall) to protect your company? An email gateway (spam firewall) is one of the best ways to keep malicious and unsolicited email from reaching your end users' inboxes. But what about your outbound emails? SecurityGateway for Exchange and SMTP Servers is designed to protect both inbound and outbound mail. Its layered security design protects businesses against incoming and outgoing email abuse by denying spammers, thieves, and hackers a single point-of-failure to exploit, while ensuring the accurate delivery of legitimate email and minimizing the potential of false positives. Combining over a decade of email security expertise with proven security technologies, SecurityGateway protects message traffic from malicious attacks, message tampering, and email address identity theft for organizations using Microsoft Exchange® and other SMTP email servers. It offers flexible protection with simple, easy to-use settings for trouble-free administration. Learn more about SecurityGateway, or get started today with a 30-day free trial. • Knowledge Base -- List of commonly mentioned issues regarding Alt-N Technologies' products. • Community Forums -- User forums that require registration for additional product support questions. documentation available for Alt-N Technologies' products. • Downloads -- Collection of application programs, manuals, user guides, and release notes. • Product Key Locator - Directions on how to locate your current product registration key. Do you have a comment or feedback about the articles in this section? Send comments to marketing@altn.com. To use MDaemon's BlackBerry Internet Service integration, your MDaemon SMTP and IMAP services must be accessible from outside of your firewall by RIM's BlackBerry Internet Service servers. Even if your MX records point to the SMTP server of an ISP that MDaemon is collecting mail from via DomainPOP, MultiPOP, or ETRN/ATRN, the settings provided to the BlackBerry Internet Service web set-up must point to the Internet IP address of your MDaemon server. If a user only provides his or her email address to the BlackBerry Internet Service configuration tool, the BlackBerry Internet Service will try to determine the mail server's IP address by performing an MX record lookup. Your MX record will point to the host name of your ISP's mail server, not your MDaemon server. You may need to access the advanced settings to provide the host name of your MDaemon server to the BlackBerry Internet Service. If using SSL, one must have a third-party certificate. Self-signed certificates will not work with the BlackBerry Internet Service. Also, ports 465 and 993 must be open if you are using SSL. To monitor ComAgent's instant message traffic, ComAgent logging needs to be configured properly. 1. In MDaemon, go to Setup | Web, Sync & IM Services. 2. Select ComAgent in the left-hand navigation menu. 3. Check the box "Log all IM traffic at the server level" and click "Apply" and "Ok ."
With this setting enabled, instant messaging traffic will be included in the InstantMessaging.log file (located in the MDaemon/LOGS/ directory). If you have a mailing list containing a disabled user, you can prevent the disabled account from receiving messages addressed to the list. 1. In MDaemon, click Accounts | Account Manager. 2. Double-click the disabled account. 4. Enable this setting: "Account is private." RelayFax has recently received a minor update to version 6.7.12. This version updates the fax engine and adds a strong password policy. In addition, there are several fixes to the software and improvements made to supported fax classes. For a full listing of updates included in this release, review the release notes for more information. RelayFax network fax server management software automates sending, receiving, and managing your network faxes from your desktop, while integrating full faxing functionality with your existing email system — all while providing unlimited fax sends and receives with no monthly fees or per-transmission charges. To see for yourself, put it to the test with a 30-day free trial of our latest version. Now you can connect with over 200 other MDaemon professionals on the LinkedIn social network site. Request to join the MDaemon User Community. Check out the latest MDaemon User Community discussion on personalizing WorldClient. Have you had a positive experience using SecurityGateway for Exchange/SMTP Servers? Help spread the word and let others know your success by visiting SecurityGateway's listings on WindowSecurity.com. They are a leading site featuring Windows security news, articles, tutorials, software listings, and reviews for information security professionals covering topics such as firewalls, viruses, intrusion detection and other security topics. If you are a former Exchange user and want to help with Word of Mouth marketing for MDaemon as a great alternative email server for small-to-medium businesses, we could use some votes and comments on a new "alternative" site. Please visit the MDaemon Email Server page on the "Alternative To" website. You can leave a comment and give us a "Like" vote to share your experience. We want to help other users looking for alternatives to Exchange learn more about MDaemon. Thanks for your loyalty and support! Check out our new YouTube.com channel featuring company profile information, product videos, and links to our partners' videos. Please help us to share this information by subscribing to our channel, commenting on our videos, and giving us friend status. Are you one of the 400,000 members of the Spice Works Community? If so, cast your vote to keep MDaemon at the top of the "Best Email Server" list. Missed the last edition of News@Alt-N? Don't worry, because now all editions of News@Alt-N are archived on our Literature page. It's also a great place to find the latest product data sheets, white papers, product reviews, and case studies. We would like to hear from you. If you have comments or suggestions on this specific newsletter, please let us know by sending an email to marketing@altn.com. Copyright © 2010 Alt-N Technologies, a subsidiary of Research In Motion. MDaemon is a registered trademark of Alt-N Technologies. All rights reserved. 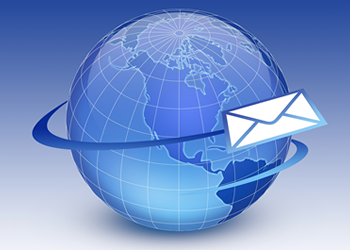 Alt-N Technologies respects the personal nature of email communication. Every effort is made to offer only information that may be of value to you or your business. If you wish to change your email preferences for the type of information you wish to receive please update your profile. Please do not respond to this email as this account is not monitored on a regular basis. For prompt response, please contact marketing@altn.com, or Alt-N Technologies, Ltd., 2550 SW Grapevine Parkway, Suite 150, Grapevine, Texas 76051.